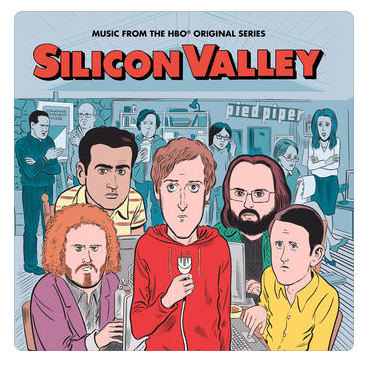 HBO will be releasing a Silicon Valley soundtrack this summer. The series has been known for its diverse choice for music in years past. This soundtrack is expected to be released on June 16th, 2017 and is already available for pre-order on iTunes. Users can already listen to DJ Shadow’s song “Systematic” on music streaming services such as Apple Music and Spotify. Silicon Valley is an HBO TV series that premiered its fourth season this past Sunday night. The show is centered around the character of Richard Hendricks, who created an amazing compression algorithm that has blown away CEOs and other companies all across Silicon Valley. New episodes of Silicon Valley premiere every Sunday at 10 PM ET. Update (5/1/2017): “Fun House” (featuring OG Swaggerdick & Grip Plyaz) by Pregnant Boy is now available to stream on the soundtrack. Update (5/17/2017): Another song has been “unlocked” from the soundtrack. The song is called “Track 12” and the artist and actual song title are still unknown.